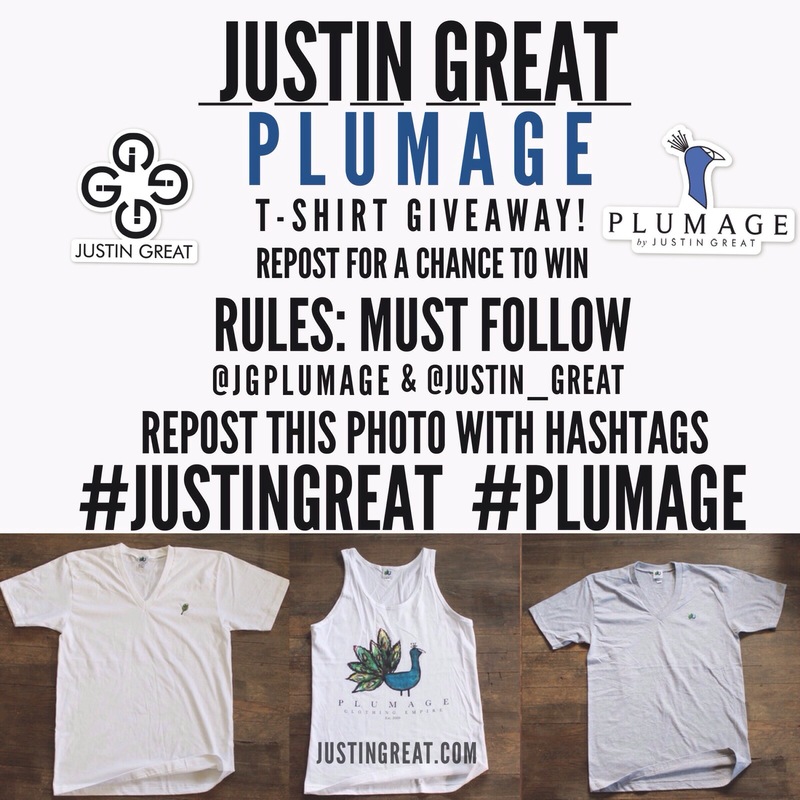 In honour of our SS15 launch we are doing a Plumage by Justin Great T-Shirt Giveaway! 3. 3 winners will be chosen at random tomorrow 11/15 and will be informed on how to receive their shirt!